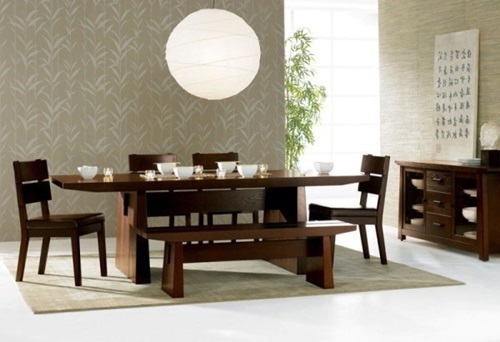 Your dining room is the most formal place in your house; thus, it should be warm and friendly. 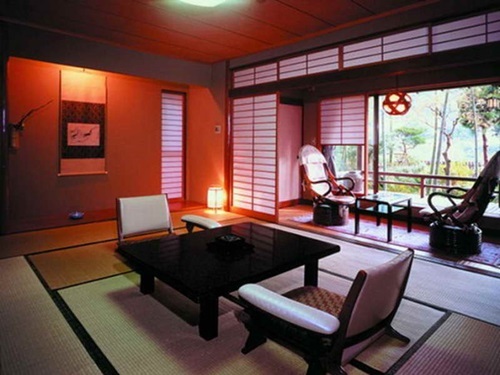 The Japanese dining room will ensure you a warm natural atmosphere to have delicious meals with your family in a comfortable and serene place. 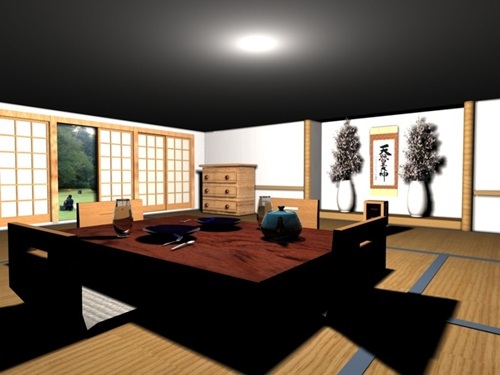 The colors used in the room will give you the warm and friendly feeling. 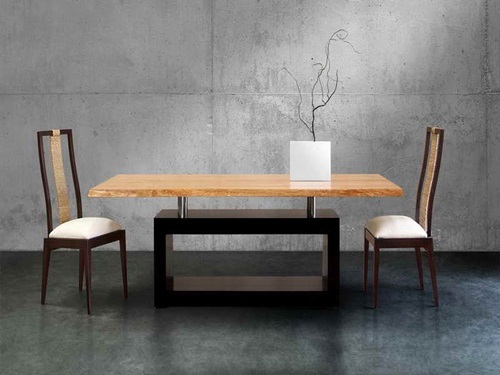 Try to use the rich colors of bamboo forests such as brown, black, green, and grey. 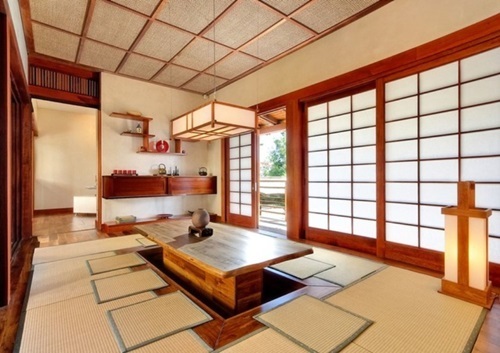 The Japanese traditional accessories like the samurai’s sword, Japanese red or green bamboo prints, or kabuki-inspired mask will give the room a unique look. 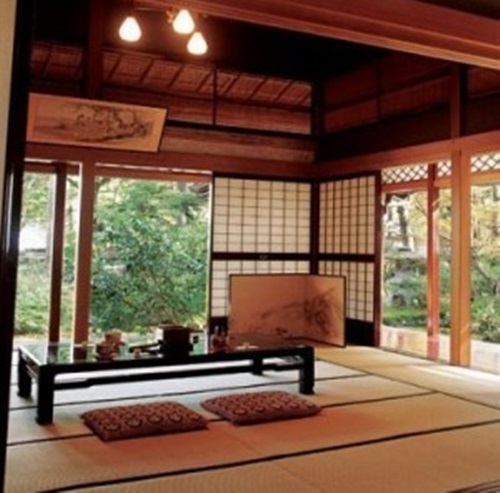 You can simply decorate the roomby natural patterns such as landscapes or birds.If you need a comfortable and serene feel into the room, try to install an indoor fountain. 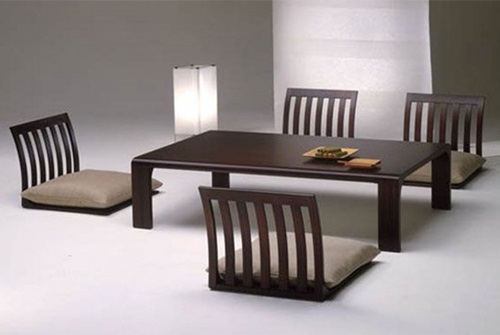 If you have an outdoor garden, don’t miss the chance. 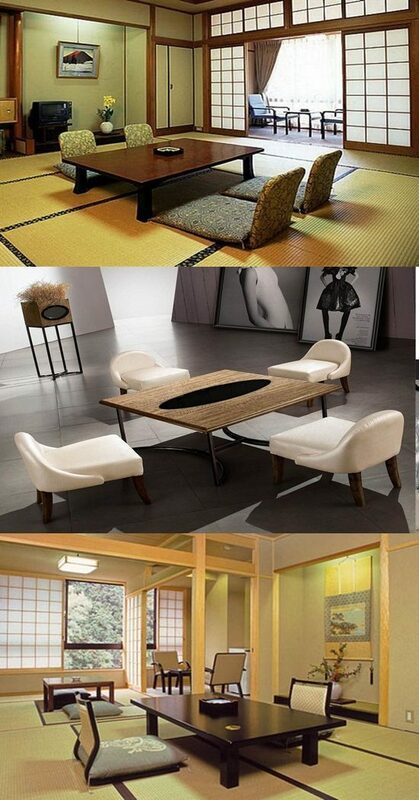 You can design on open wide window to enhance the natural theme into the room. 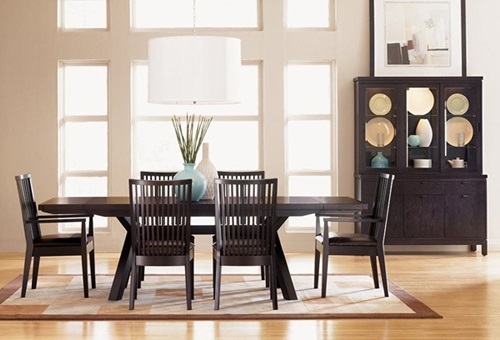 Your dining room furniture should be low and have simple and square lines. 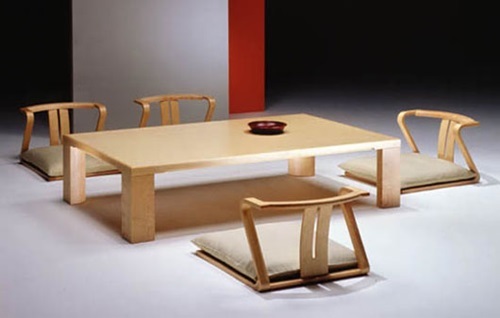 It’s popular to use a low table with cushions or legless chairs on the ground to have your meals as a simple and unified family. 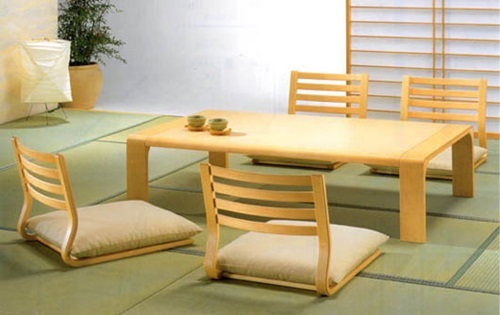 Under your dining table, you can place a roll-out straw mat ortatami mat in the center of the room because it is durable, soft, comfortable, and easy to clean. 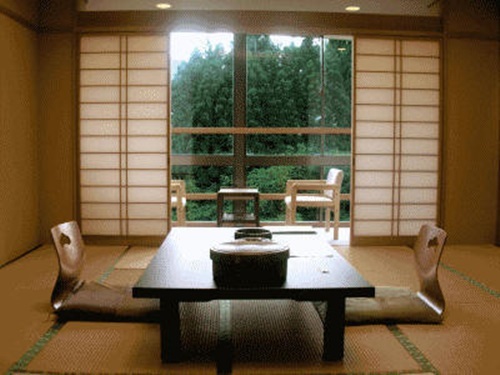 If you have a large dining room or you need some privacy while having a cup of tea or coffee, a sliding or folding shoji screen made of wood or rice paper will be the right choice. 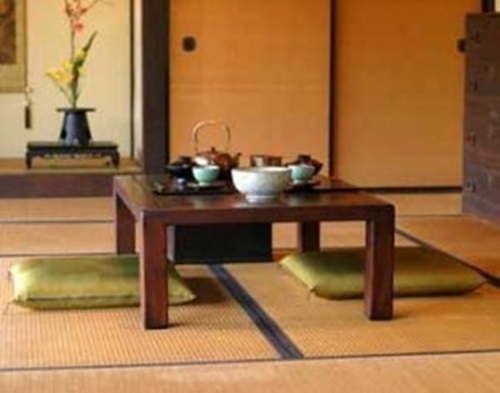 The tea table can be decorated by bamboo plants, fresh flowers, or candles floating on the water to enhance the natural theme in the room. 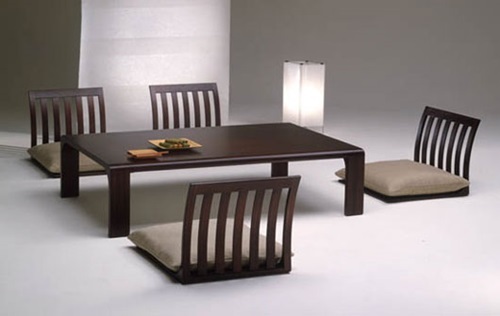 Illuminating your Japanese dining room may need hanging or tabletop lanterns with low wattage floor lamps.